Two LRADs, 2 Channel 4 Act Hyperdirectional Opera. Duration: 8 Hours Daily. Click on the image next to the youTube video to download the Program/Timetable published by documenta14. 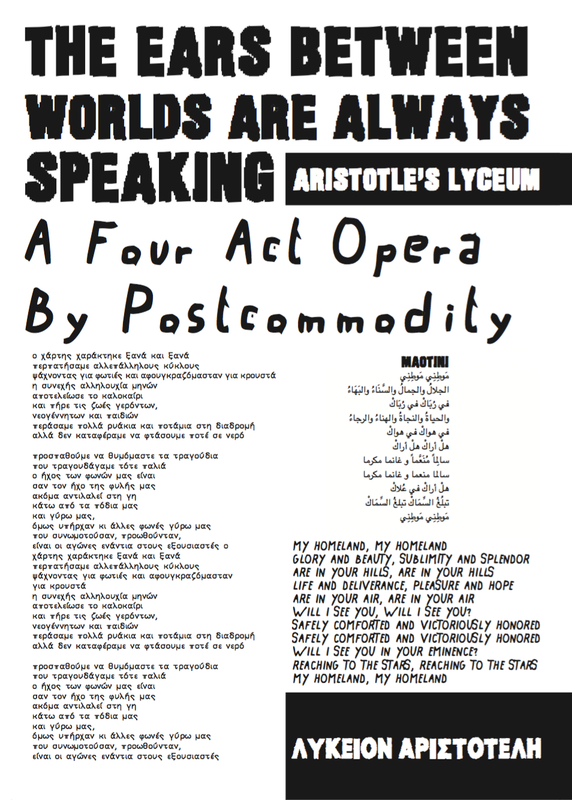 The Ears Between Worlds Are Always Speaking is a long-form, 2 channel hyper-directional 4 act opera projected upon the ancient ruins of Aristotle’s Lyceum. 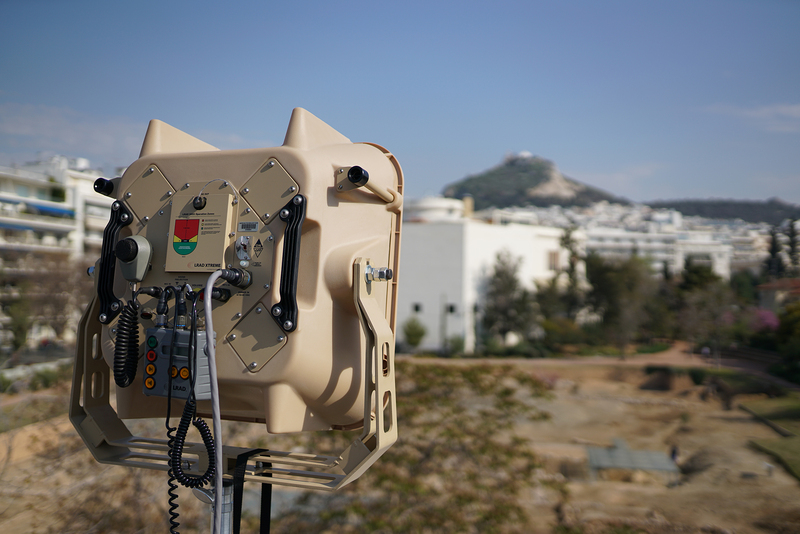 For this work there is no physical intervention onto the site, with the exception of sound produced by 2 LRADs - LONG RANGE ACOUSTIC DEVICES - that are mounted on rooftops around the campus periphery. 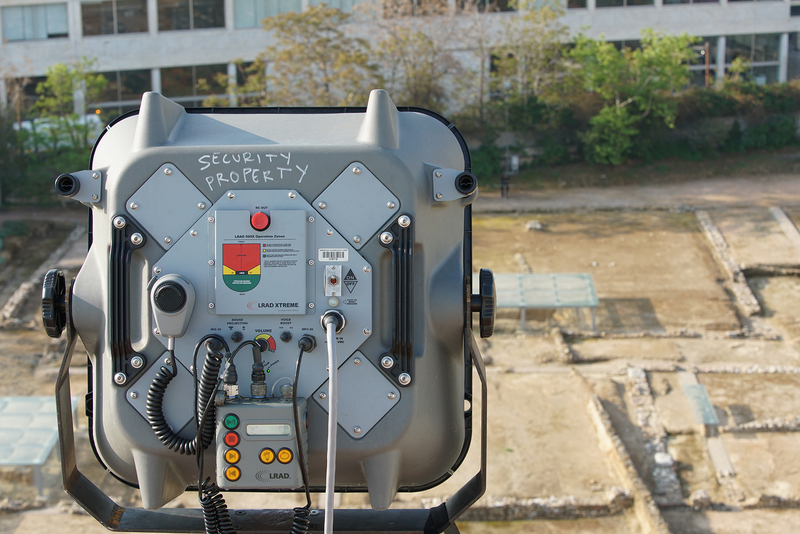 At the installation, audiences experience a shifting call and response hyper-directionality of sound when walking around the ruins of the school. 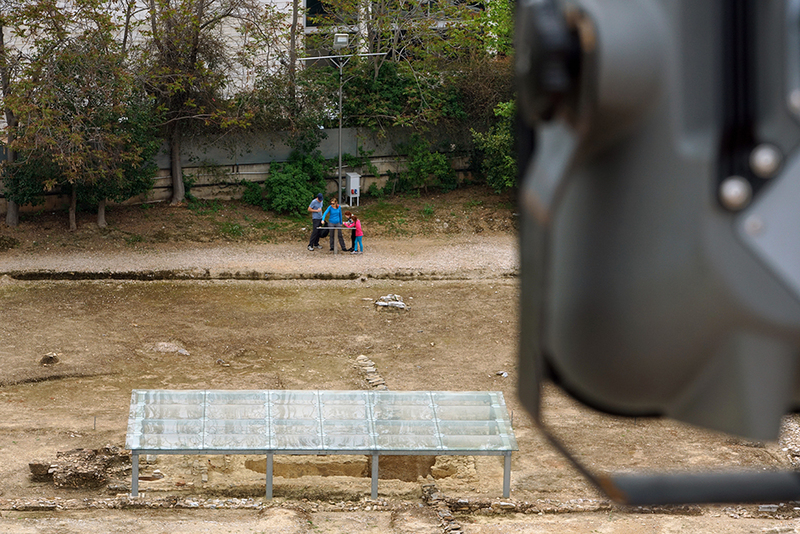 The Lyceum, situated between the Athens War Museum, Hellenic Armed Forces Officer's Club, and Athens Conservatory of music, offers a rich environment for engaging oral tradition, contemporary and ancient history, as well as a sense of embodied learning. Each day, the installation performs multiple movements of music from Greece and the Southwestern United States. The libretto is spoken and sung in multiple languages, expressing stories of long-walk migrations from throughout the world. The opera continues on as a cycle throughout the duration of the exhibition, and starts every morning while culminating early in the evening. 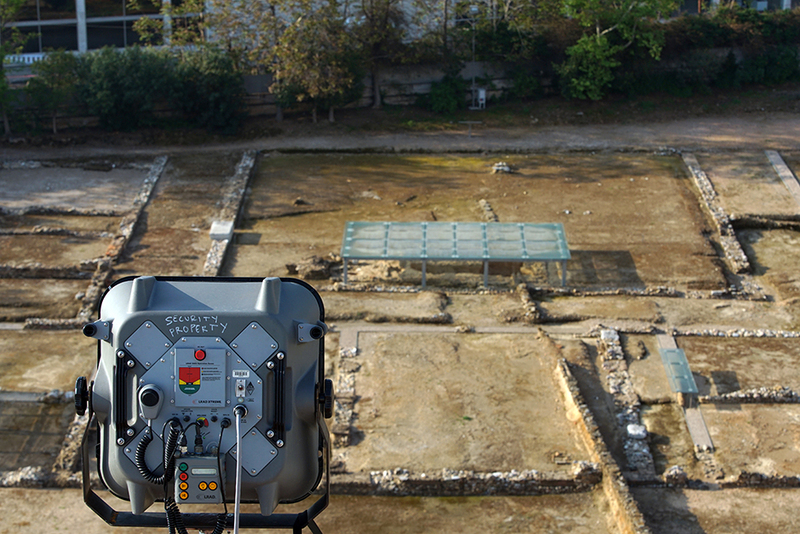 By activating a contemporary variant of Aristotle’s peripatetic learning on the ancient sacred site, Postcommodity focuses its shared indigenous lens to dialogue with Aristotle, critique and honor Western philosophy, as well as implicate audiences as part of an international dialogue on global market systems in relationship to walking and movement upon lands -- movement upon lands throughout the world constituting the largest mass migration in all of human history. Click here to listen to the condensed version of the full, day-long composition, minus the interludes of silence. 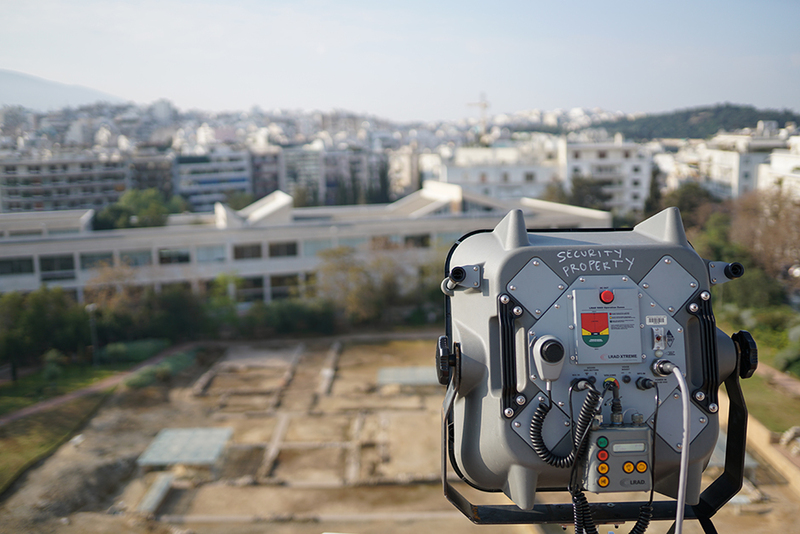 As a recipient of a 2017 USArtist International grant, Postcommodity's participation in Documenta14, Athens, Greece was generously supported Mid Atlantic Arts foundation. 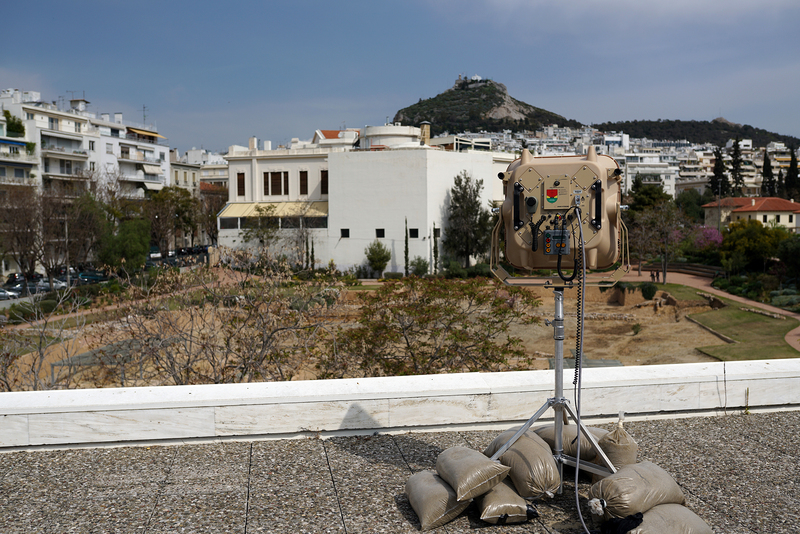 In addition to installing The Ears Between Worlds Are Always Speaking, Postcommodity performed, at documenta14, Athens, an experimental music composition titled "Before the Roads Were Paved."